Indian Oil Minister Dharmendra Pradhan announced that the government would soon connect all households with clean cooking fuel after catapulting liquid petroleum gas (LPG) coverage by about 40 % in just 55 months. At the Petrotech 2019 conference on the outskirts of Delhi, the minister said since 2014 the LPG coverage rose at about 55 % and currently at 90 %. “Very soon, India will be connecting all households with clean cooking fuel. 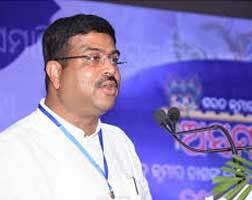 The source of fuel will be LPG as well as gas from bio-mass and alternate sources, “Pradhan said. Pradhan Mantri Ujjwala Yojana (PMUY), the government’s flagship programme that targets to provide free LPG connections to 80 million families by 2020, is responsible for the increase of LPG coverage. Since its launch on May 1, 2016 about 6.4 crore connections have been provided under PMUY. LPG will replace the traditional cooking fuels in the rural kitchens like firewood and cow dung which not only contribute to pollution but also have serious health risk on users. The Indian government has also introduced various policy reforms such as marketing and pricing freedom for natural gas produced from deep and ultra-deep waters and high pressure high temperature areas, incentive for enhanced recovery for augmenting production of oil and gas from matured fields, coal bed methane and exploration and exploitation of unconventional hydrocarbon from all fields. “We have set up a state-of-the-art National Data Repository to facilitate potential investors to take informed decisions based on the geo-scientific data of hydrocarbon resources in the country. With the introduction of National Data Repository, India has joined the league of countries like UK and Norway which have a national data repository for the upstream sector,” the oil minister added. He also said that in downstream sector, India has been able to attract global investments and leading players like ADNOC, Saudi Aramco, Shell and Total are expanding their presence in the country’s energy space and eyeing to invest more in the oil and gas market of India. Thus, with demand shifting from Europe to Asia, the world will witness a dramatic shift in energy sources and consumption. Accounting for 4.5 per cent of global oil consumption, India is the third largest consumer of crude oil and petroleum products in the world, behind US and China.